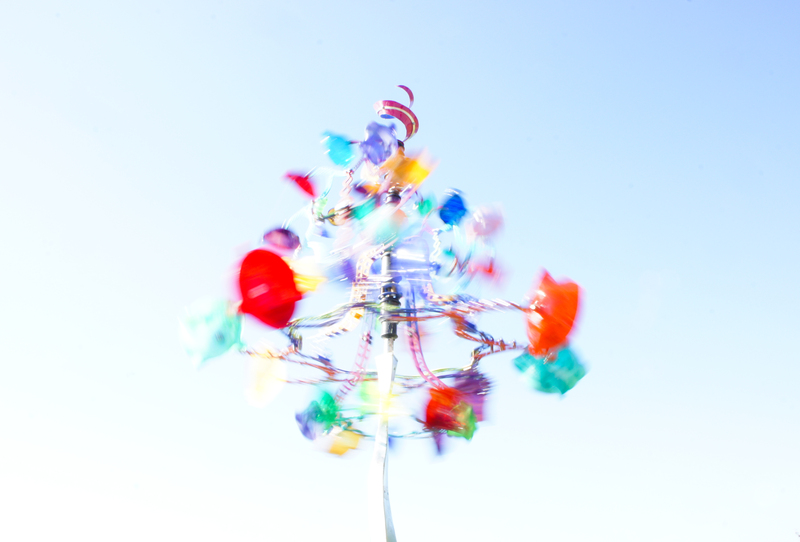 This glass sculpture spins atop a pole in the grass next to a lake, where its’ bright colors catch the light: pure joy! 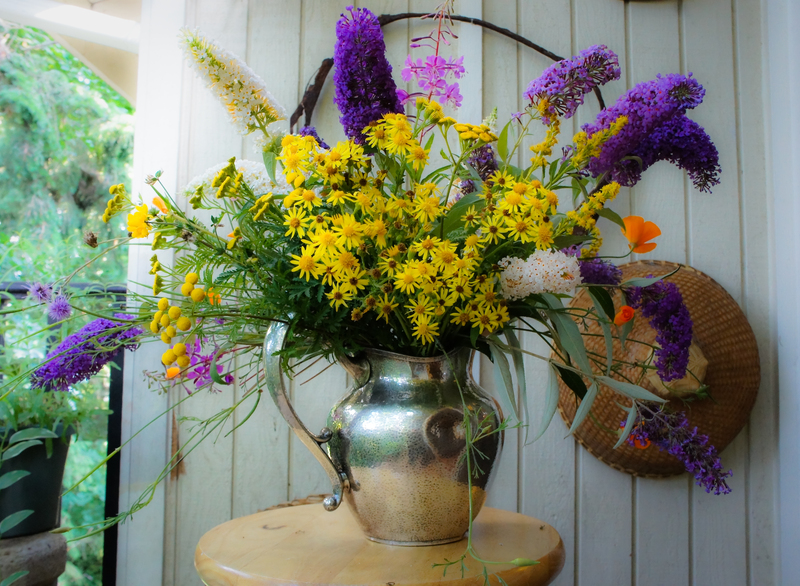 More happy: a bouquet of wildflowers that I just picked along deserted railway tracks. 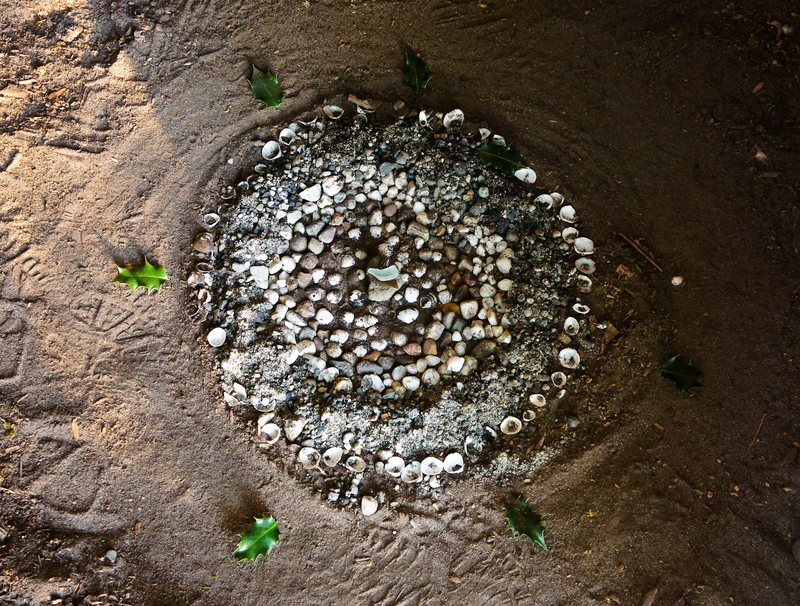 Inside a huge old tree someone has put together a mandala of found objects. 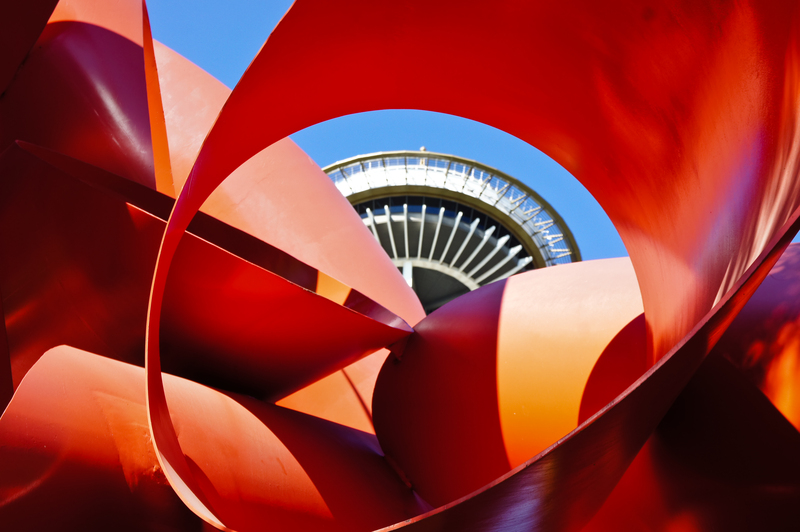 Seen from underneath an Alexander Lieberman sculpture, Seattle’s Space Needle echoes the bold curves – a happy surprise . 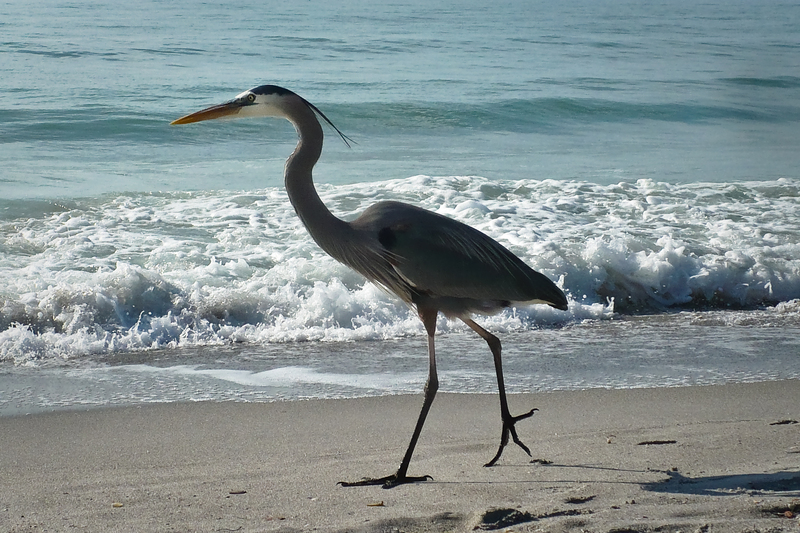 I cannot see a Great Blue Heron without feeling happy, and thankful. They are my totem birds, and whether standing at the edge of a small pond in New York farm country, stalking crabs in a marsh on an island in New York City, or flying overhead on deep, wide wing strokes, they always give me a thrill. 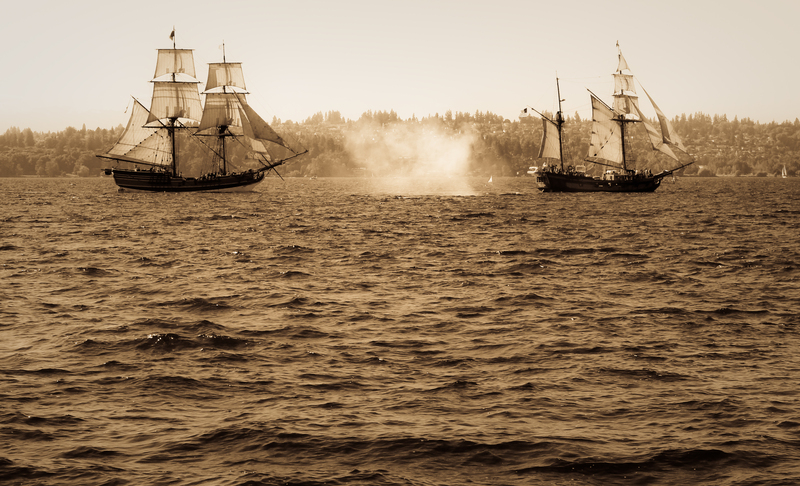 This entry was posted in photography, Weekly Photo Challenge and tagged bouquet, cat, dog, family, flowers, friends, happiness, heron, mandala, pet, sculpture, sepia, ship, Space Needle, wildflowers. Bookmark the permalink. Thanks for all the Happy photos. Very nice. Thank you – no frosty mornings here yet, but maybe soon. I admire the variety in your responses and also the quality of the photography. Thank you Louis – I like the consistency you have on your site – we need them both, right? Variety and consistency. Oh, and quality…we try! Exciting and fun images. My favorite is the man and his pet running by the beach. It’s a fusion of a peaceful, free time for self, enjoying nature, the sea and yes, our favorite pets. Great post. Thank you – that’s my son running on a beach in North Carolina, with a dog he & his girlfriend got at a shelter, before he was deployed to Afghanistan. He’s back now but they parted ways, and the dog was sent to live with her family. Whatever the outcome, it was a wonderful moment & it’s good to have it “on film”.